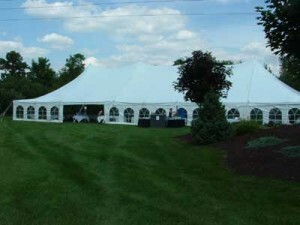 Window sidewalls add a little extra style to your tented events. 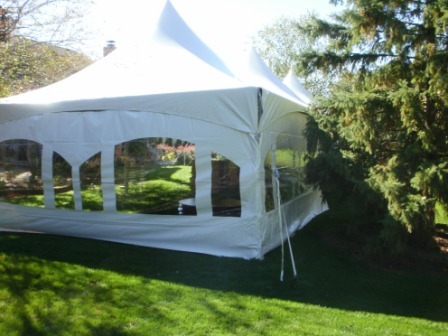 Window sidewalls can be used to provide additional privacy and security for your event or to provide additional weather protection against wind blown rain. Sidewalls are seven to nine feet tall and cover the open space from the edge of the tent to the ground, and are either 15 or 20 feet long from side to side. 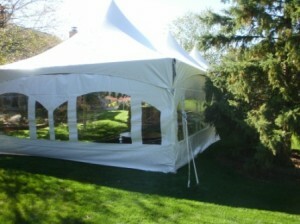 Sidewalls can be attached to one, two, three, or all four sides of any canopy or tent.